This stunning bronze helmet was unearthed in Crosby Garrett in Cumbria in the North of England, not too far from the Lake District. It was discovered in 33 fragments, face down in the mud on a Roman road. Maev Kennedy, “Roman cavalry helmet found with metal detector may go abroad at auction,” September 13, 2010, http://www.guardian.co.uk/culture/2010/sep/13/roman-helmet-metal-detector-cumbria. Roger Bland, “Exceptional Roman cavalry helmet discovered in Cumbria – News section,” n.d., http://www.finds.org.uk/news/stories/article/id/195. Below is some video of the massive discovery of Anglo-Saxon gold discovered by a detectorist this summer. Two things to note from the piece: First is that these objects were very near the surface, and may have been at risk from pesticides/agricultural damage. 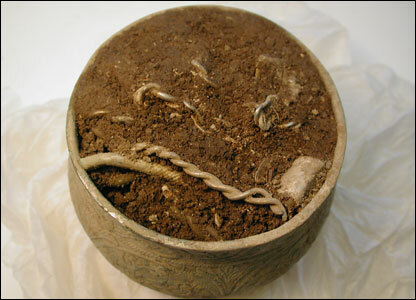 Second, the finder here notified the proper authorities, and an archaeological excavation was made possible. There is a terrific website devoted to the objects, with a number of images and links to news reports. It is hard I think for even the most ardent critics of the Portable Antiquities Scheme to find much fault with the result in this case. The objects have a history, archaeological excavation was undertaken, and the public can study and enjoy these terrific objects. In an ideal world of course all these objects would be professionally excavated. Yet these objects tell us a great deal about the culture which produced them, they can be enjoyed by scholars and the public in York and at the British Museum. Contrast this with the Sevso Treasure, which is locked away at Bonham’s auction house. Three nations of origin, each with national ownership declarations and no similar rewards for finders, fought over those works, and the result was the trust created by the Marquess of Northampton was able to retain possession. Whatever criticisms can be lodged with the Treasure Act and the Portable Antiquities Scheme, they reward compliance. They work. We still know very little about the Sevso Treasure, who discovered, and where. The current state of law and policy produces a perfect black market. The PAS offers a good alternative. What is the utility of a legal regime which cannot be enforced? I’ve argued that the PAS has a lot of merit, and should be considered as a potential policy model for other nations. Rick Witschonke, reported on a conference earlier this month at the British Museum on the Portable Antiquities Scheme, and his thoughts are here. 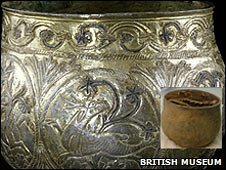 Trevor Timpson, The ‘wonderful, wonderful’ hoard & Getting the most out of treasure [BBC Sep. 17, 2009]. In one of a series of interviews with experts sponsored by Dow Chemical, paleontologist Louise Leakey talks about the challenges involved in finding fossils, and outlines her plan to crowdsource the search, which means introducing the public and using some of that interest to help discover fossils. Sounds exactly like some of the advantages of the U.K.’s Portable Antiquities Scheme. 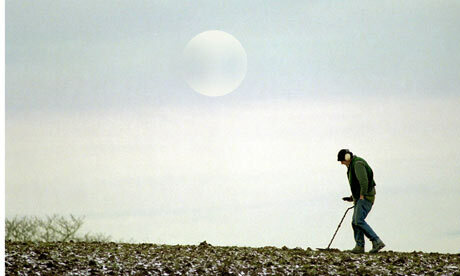 Author Derek FinchamPosted on August 28, 2009 Categories UncategorizedTags Portable Antiquities Scheme1 Comment on Metal Detecting Filling the Gap Left by Reduced Funding for Archaeology? There has never been a “war” on antiquities looting which could approach the America’s often wrong-headed illegal drug policy. But it’s hard not to notice the parallels between the potential shift in American policy on drugs and the efforts of the Portable Antiquities Scheme, which has achieved some notable policy successes by taking a pragmatic approach, aimed at similar kinds of “harm reduction”. One of the weaknesses with prohibitionism is it restricts supply, without taking account of the potential demand. This makes the targeted trade — whether it’s drugs or guns or antiquities — this makes the illegal trade more profitable, allowing better more sophisticated tactics to evade law enforcement. There’s a good argument I think that some prohibition helps create and incentivize large-scale criminal operations and organized crime networks. Participants examined how market-based financial innovations could help stem the black market on antiquities by changing incentives that would create cultural and economic value to all stakeholders. I gave a few comments on the intersection of the Treasure Act and the Portable Antiquities Scheme in England and Wales, which I expanded and developed into a longer article. The first is already taking place with increasing regularity. The latter two will likely be met with more controversy, but they do have a lot of merit I think if they are implemented carefully and thoughtfully. Any reform will have to have the support of nations of origin, and they have to be confident that their efforts are producing a good deal for them, and aren’t just a continuation of the taking of recent centuries. The event itself was great, and it brought together a number of stakeholders — including archaeologists and antiquities dealers. It was clear that they have deep-seated disagreements, but there was a core of things upon which they did agree, which is the foundation of any effort at reform. I strongly encourage those interested in the antiquities trade to give the report a read. By and large my archaeological training has been on community projects. My first dig was on a community project excavating a Gallo-Roman villa, organised by a society based in the local village in Nospelt. In the UK I was in the local village archaeology group and did a bit of excavation and geophysics and a lot of fieldwalking. All the projects I’ve worked on have been poorly funded, even by archaeological standards, or more often not funded at all. My experience then with archaeology outside of academia is of knowledgable, enthusiastic people with relatively little access to expertise, equipment and information. The great attraction of the PAS from my point of view is the outreach aspect. All sorts of little bits of information are being gathered by amateurs and rather than being centrally hoarded they’re being made available to anyone with an internet connection. It’s not that there’s been a lack of will in any of the museum services I’ve seen when it comes to public engagement, but there hasn’t really been the institutional framework to help it happen. The PAS is built around engaging with the public and it’s in the bones of the system. For example below is some data uploaded to Swivel. To be honest I cannot see myself using that particular dataset, but that’s not the point. I’m used to being told there are strict limitations on what I can do with photos from museums. Here someone is actively encouraging the public to take away data and do something interesting with it. It’s a thoughtful response, and one of the reasons I included some of Salt’s blog posts in the article itself. As an aside, I’m continued to be surprised and excited by how these new means of writing via blogs can inform and shape traditional avenues of scholarship like peer-reviewed articles. When done well, I think both can shape and inform each other.